Following the request from the family members of legendary rock musician Ayub Bachchu, his band - LRB has recently changed their name to "Balam & The Legacy," according to a recent press statement.After the death of LRB frontman Bachchu on October 18, last year, the iconic Bangladeshi rock band announced their new lead vocal Balam Jahangir, a popular singer and former vocalist of the rock band Warfaze. The announcement came on April 5 - the 28th anniversary of LRB, at an event in a restaurant at capital's Baily Road. Abdullah Al Masud, guitarist of the band told the press: "Changing the name was not easy for us either. I would request everybody to respect the decision if they love Bachchhu bhai, and LRB. ""We want our fans to be patient as we do not want any kind of controversy and negative energy. I would also request the media to be supportive and helps us prevent misunderstanding and negativity," he added. 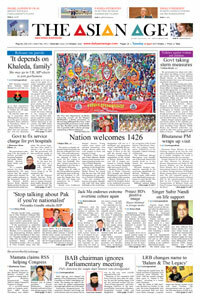 Ayub Bachchhu's Facebook account which has been memorized since his death was suddenly deactivated on the first week of April, prompting band members to file a general diary on Sabujbagh Thana on April 7.Cyber Security and Crime Division unit of Dhaka Metropolitan Police (DMP) assured band members that Bachchhu's profile will be retrieved as soon as possible and person responsible will be found.